To give the Greenpaper not only input from the youth of Europe, we are also encouraging real Members of European Parliament to give their ideas and visions about the future of Europe. To make sure that real MEP participants get in touch with policy-makers such as MEP’s we arrange walk-along days in the European Parliament. This MEPmeetsMEP meetings are a great opportunity. 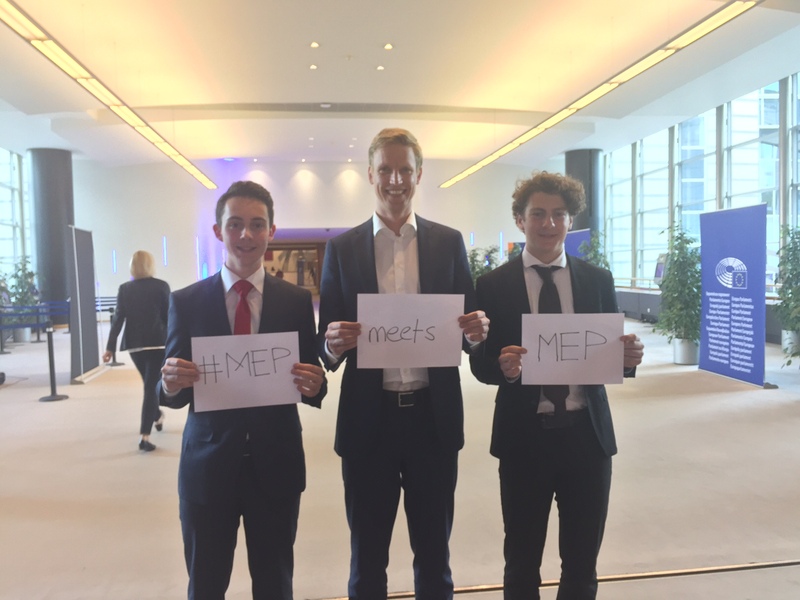 Not only give MEP participants real MEP’s their ideas about the future of Europe, they combine their visions and ideas with the knowledge of the MEP’s, and together write down three goals for the future of Europe. After, they sign this mini Youth Treaty, which is used as input for the Greenpaper. By doing so, the policy-makers of today and the policy-makers of the future are already discussing what is most important to us all: our common future. WEMEP and the MEP project are making this dream a bit more a reality. Will you join us? In the picture below you see Jan Huitema, MEP for the Liberals in the European Parliament and Sander Herbergs and Jop Sforza signing the mini Youth Treaty.